When the EpiscoBuild coalition needed a way to raise money to sponsor their first house at 156 Dubois St., George and Prudence Thurston had an idea. For many years, they had celebrated the end of the Christmas season by hosting a Twelfth Night potluck party in their home. Why not host the party at their church, expand the guest list, get free music by asking local choirs to perform, and transform their family tradition into a Habitat for Humanity tradition? The first year was a wonderful success, with beautiful choral music from the different Episcopalian churches, food and drink, fellowship and holiday cheer. Since then, the Twelfth Night concert tradition has lived on as one of the main fundraisers for EpiscoBuild, who will host the 10th one on Sunday, January 8 to raise funds for their 7th house! The success of this event would not be possible without the devoted efforts of the Thurstons, who coordinate logistics, publicize, organize food, and recruit performers. After volunteering onsite at that first EpiscoBuild house, George was hooked. He loved having the opportunity to put his beliefs into action and to see the tangible difference that even one person could make. He and Prudence have been long-time believers in the assets and potential that Newburgh offers. George is especially excited to have two EpiscoBuild homes on the completely transformed E. Parmenter Street where that potential has been brought into reality right across the street from the place where General Washington fought for our independence. "Being involved in Habitat Newburgh has been so positive. My faith in people and my faith in God have been strengthened. It is amazing what you can accomplish." In 2009, George wrote a letter to legendary folk singer Pete Seeger to ask him if he would donate a performance to help Habitat Newburgh build. To his surprise and delight, Pete wrote him back and agreed to play. After much organization and logistical work, several hundred people attended 'A Concert for a House' on a beautiful summer day at Washington's Headquarters. George is an avid advocate for Habitat Newburgh. He believes that most people genuinely want to help others, but just don't know how. He says that he feels like he is letting people in on an awesome opportunity to be a part of something great. He likes to tell people that "even if you can't swing a hammer, you can swing a pen!" "To me, Habitat Newburgh is the perfect organization. The staff form the skeleton and the volunteers are the flesh and together we achieve great change. I am very proud to work with Habitat and gratified by the opportunity. It is so much more than a charity; it's a community." 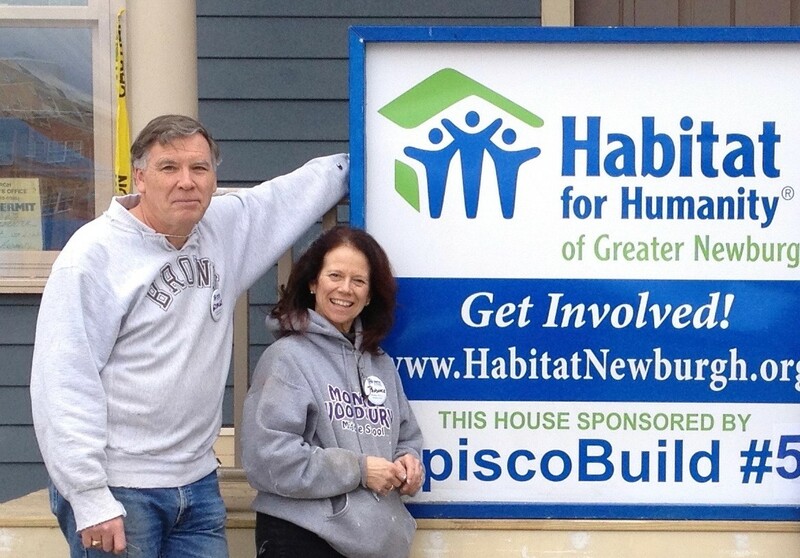 George is a wonderful example of a volunteer who wholeheartedly supports the mission and takes the initiative to organize events from fundraisers to volunteer days to bring more supporters and volunteers into the Habitat Newburgh community. We are so grateful to him and Prudence for everything they have done over their many years of support and are happy to have them as a part of the Habitat family.